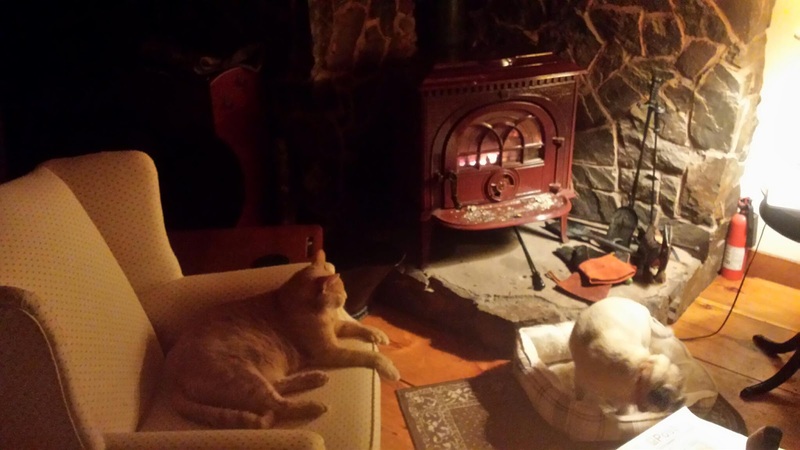 Bojangles the cat and Cody the Pug have already assumed, or resumed their Winter positions by the wood stove. Cody is the fire marshal around the farm and takes his job very seriously. Most days he will rarely leave his post except to conduct a brief bit of business outdoors, and "help" in the kitchen during meal prep. 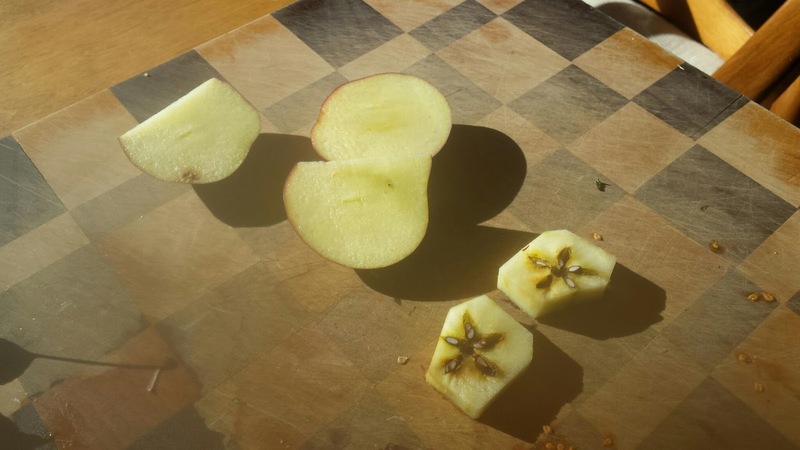 The apple harvest is nearing the end of the season. A couple cold nights seemed to have sweetened the apples that remain on the trees. To the delight of the goats the wind and time has felled enough apples that the apple trees are the first place they run, like children, during recess, when the barn door is opened for them.